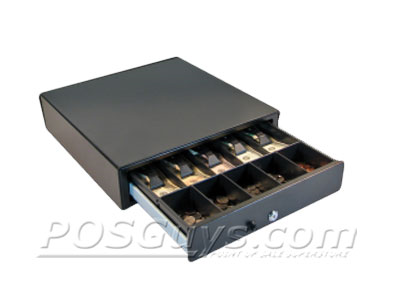 The manual version of the APG Vasario cash drawer makes adding secure payment storage a snap for any location. Available in 14 x 13 x 4 or 16 x 16 x 4 dimensions, the manual Vasario is small enough to fit on shop counters or mobile sales kiosks without taking up too much space. 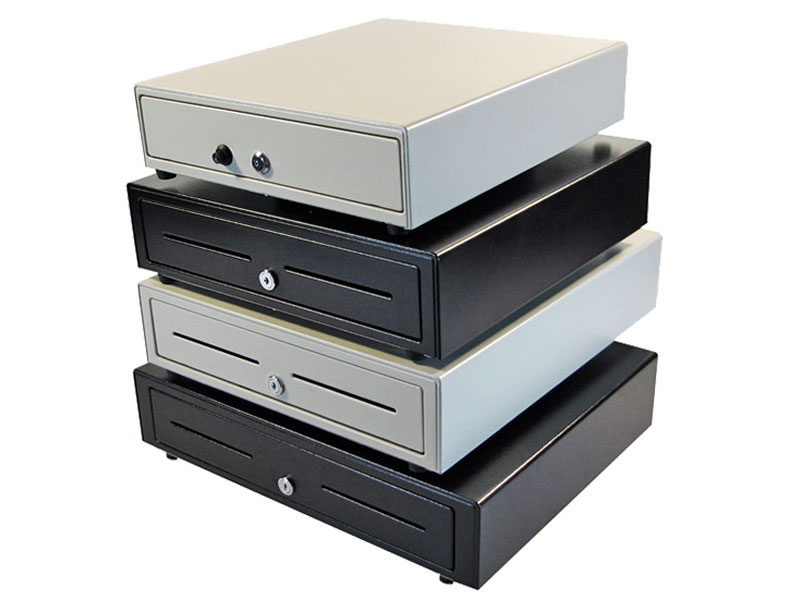 Optional under counter mounting brackets further enhance the cash drawer's space saving design. 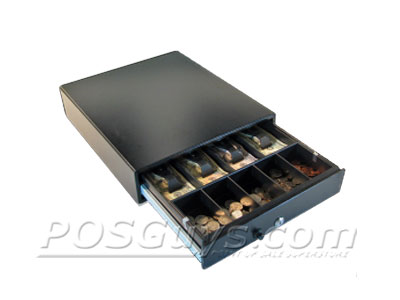 Simple button operation on the front of the APG Vasario makes opening the cash drawer quick and easy. Neither size offer an under-till media slot, but push-button operation makes opening and thus storing important information easy enough. 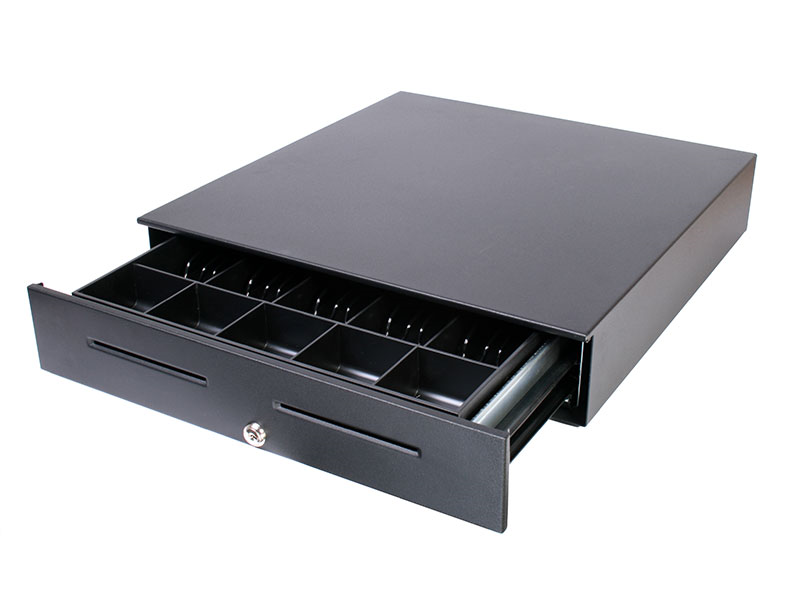 Smooth rollers, a reliable latch mechanism, and 2 year warranty make the APG Vasario manual cash drawer a good choice for economical currency storage. Dimensions 13.8" x 16.3" x 4"
Find it faster! 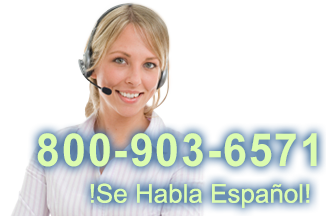 Click here to compare Vasario Manual models by feature.